Gottfried International Estates, a leading Houston real estate company active in the premier coastal and inland areas of Mexico, is representing Estrella del Mar, Mazatlan's premier luxury resort and golf community, in the State of Texas. Gottfried International Estates, a leading Houston-based real estate company active in marketing, sales, development, and investment in the premier coastal and inland areas of Mexico, is privileged to represent Mazatlan's premier resort and golf community, Estrella del Mar. This premier resort is an 816 acre luxury real estate community ideally positioned on 3.5 miles of secluded and idyllic beachfront and is ready to become one of Mexico's fastest growing resort communities. Over the past 18 months, the newest Mazatlan Hotel, the Wyndham Las Villas Resort has opened, adding to the excitement and allure of Estrella del Mar. In addition, the resort has opened Phase III of the condominium residences, bringing new and very well priced residences to the market. "Mexico is open for business," states Bill Gottfried, the Managing Director and Broker for Gottfried International Estates in Houston. "While there have been difficult days over the past few years in Mexico, Mexico's economy is growing 3-4-5 % per annum and 2012 looks like a record year for tourism in Mexico. We are excited to be supporting Estrella del Mar's marketing and sales activities in the State of Texas, including in the Houston Metropolitan Area," adds Gottfried. Over the past 18 months, an additional $50 million has been committed to overall property enhancements and upgrades in this premier resort community creating further strong value for buyers. The resort is located less than 10 minutes from the Mazatlan International Airport and 45 minutes from the downtown area of Mazatlan. The resort community offers a wide variety of amenities and outstanding facilities, including the new 68 room Wyndham Las Villas Resort, the Robert Trent Jones Jr. Championship Golf Course, a full service spa, excellent pool facilities, and two full-service on-site restaurants. In addition, Estrella del Mar is home to one of Mexico's largest sea turtle sanctuaries. Condominium residences in Estrella del Mar start at $295,000.00 (U.S.) and home sites start at $89,000.00. All condominium residences feature state-of-the-art finishes and each has been designed to maximize the views of the ocean and the golf course. Each unit has a private patio with direct access to the swimming pool areas and the beach and many of the residential units have a private balcony that provides outstanding panoramic views of the Pacific Ocean. There are a variety of floor plans ranging in size from 1,000 square feet to 3,000 square feet each offering exceptional living environments. The condominium residences are constructed to meet the highest U.S. standards, the interior designs feature granite countertops, GE Profile appliances, travertine marble flooring, natural finish solid wood cabinetry, an island kitchen, a laundry room, central heat and air conditioning, solid wood doors, and Internet access and satellite television. The Phase III condominium residences come to the market following the successful sellout of the Phase I and Phase II residences. 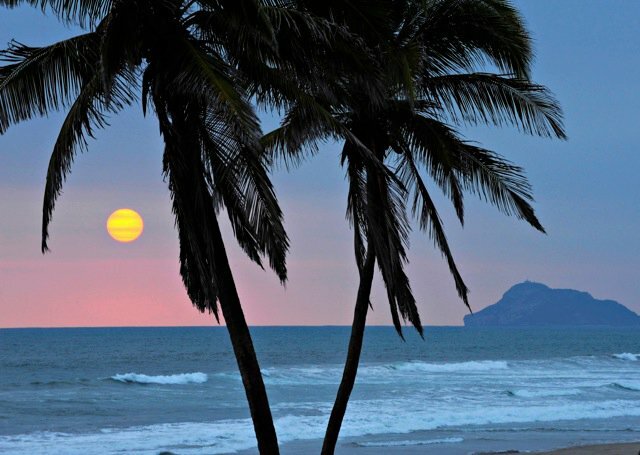 There are direct daily flights to Mazatlan from many cities in the U.S., including Dallas and Houston. The resort offers complimentary shuttle service for residential homeowners and their guests between the resort community and the airport. For additional information on this exciting and luxurious resort and golf community in Mazatlan, please contact Bill Gottfried, Broker and Managing Director of Gottfried International Estates, telephone: 713-299-0653 (global 24/7), email: billgottfried(at)gmail(dot)com. Gottfried International Estates is a leading international, Houston based, Brokerage active in Texas, Mexico, Central America, the Caribbean, Europe, Russia, and the Arabian Gulf. The Gottfried Team is active in real estate marketing, sales, investment, and development, and represents real estate development companies in the premier coastal and inland areas of Mexico. For additional information on Gottfried International Estates, please visit http://www.har.com/gottfriedestates, and http://www.gottfriedinternationalestates.com.